This was a Friday evening photoshop project. It has been a long time since I had time for fun photoshop projects. I should do them more often. Cool..... wish I knew Photoshop that well. I'd love to do the overlapping picture thing. I still use Photoshop 6. That was actually done manually, Allen. I just took several different photos of the statue, while varying the camera angle, I just gave them the white border in photoshop. 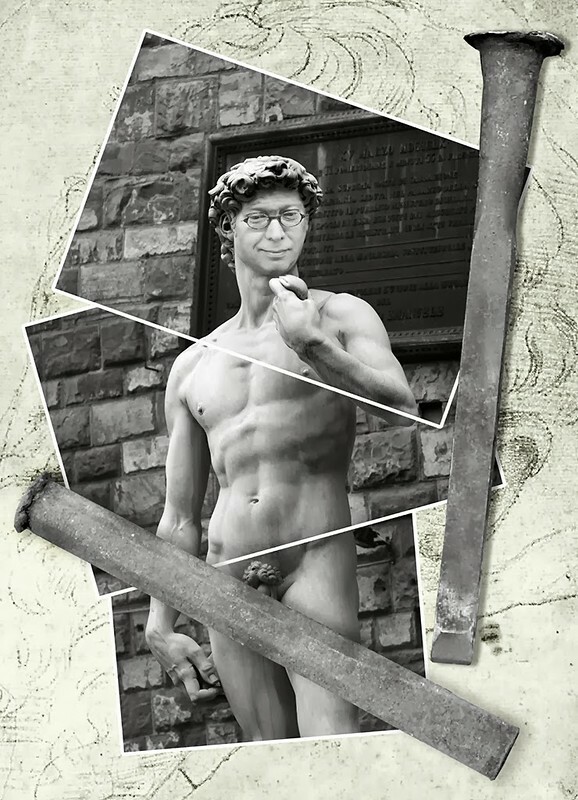 The actual photoshop work is in putting my face on the statue and the layers (with the michelangelo drawing in the background, the three different photos and two chisels with their shadows).